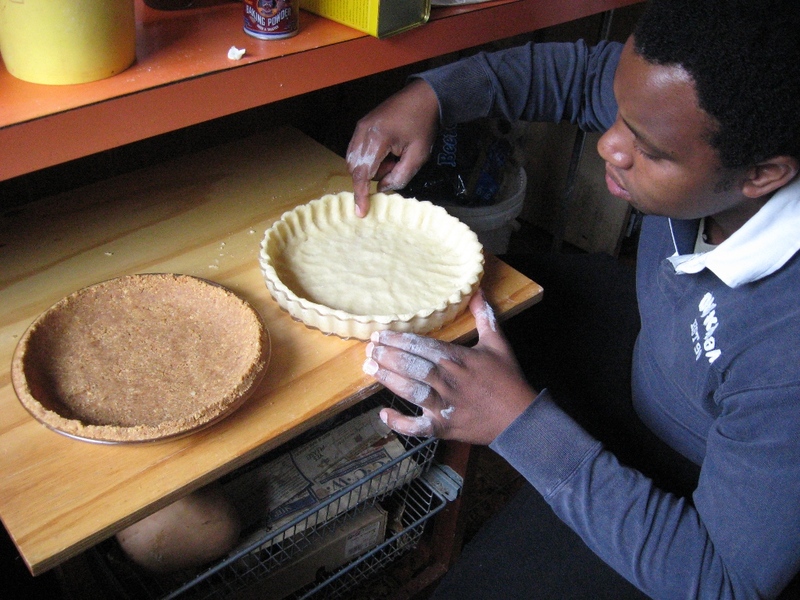 This entry was posted in cooking and baking and tagged Baked custard pie, Baking, Delicious desserts, Melktert, Milk tart by kwakhehla. Bookmark the permalink. 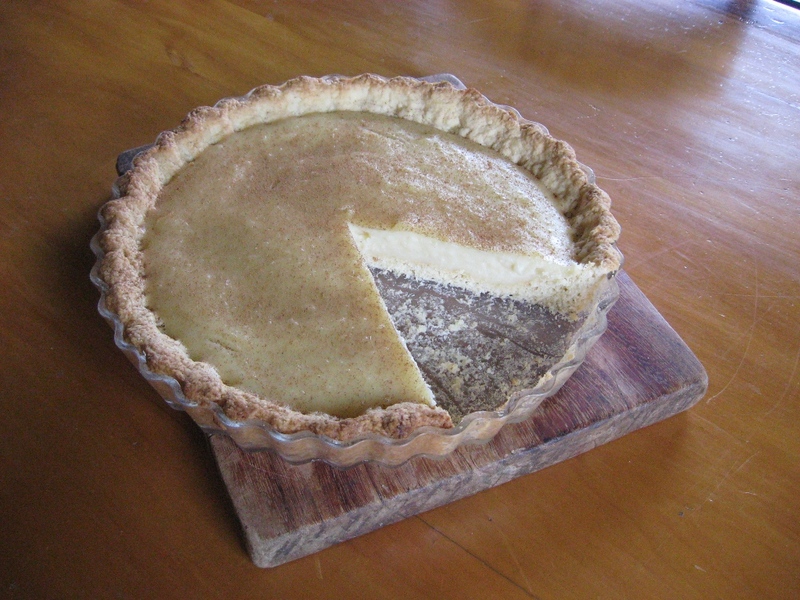 I was so motivated by this entry blog that I jumped into the kitchen this afternoon/evening and prepared the melktert! 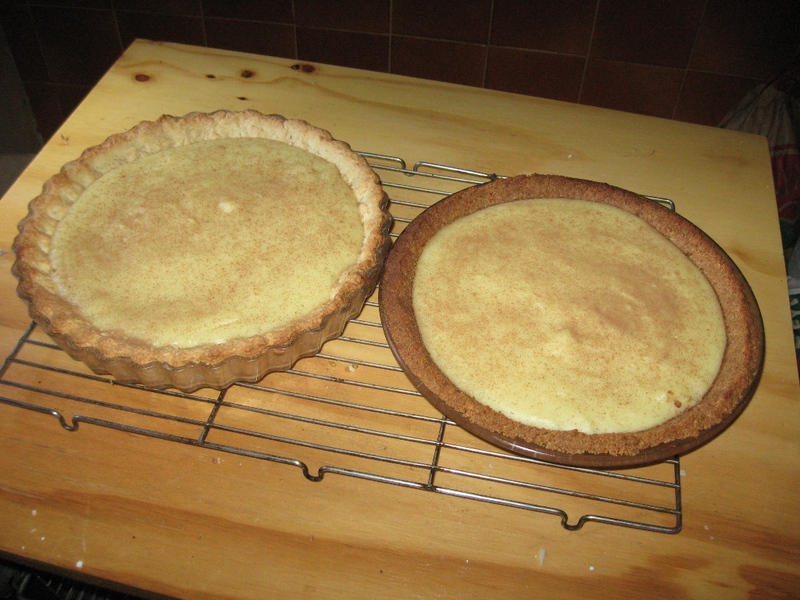 Never imagined I’d want to bake a melktert but I had alot of fun and can’t wait to get stuck in there!!! 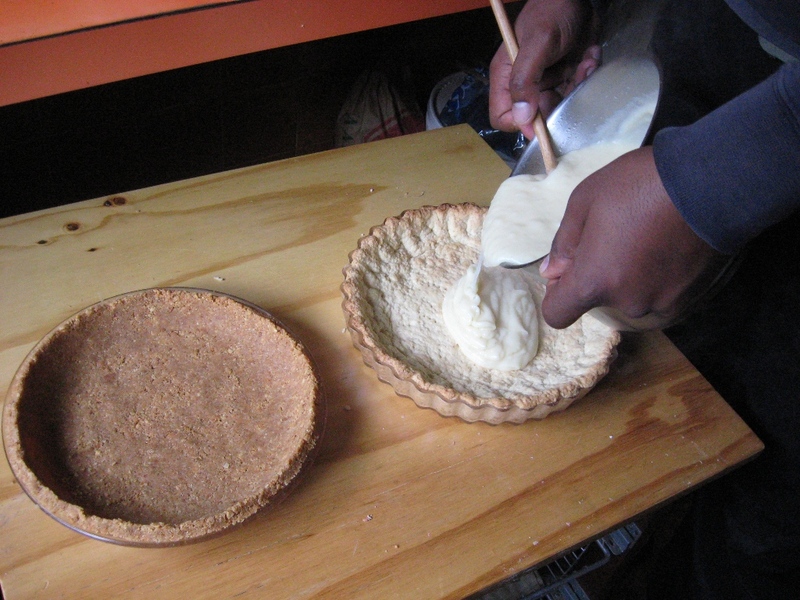 The melktert is busy cooling off now but will definitely let you know how it tasted! My frined and I were just having a conversation on how we take all the traditional food for granted and in the process not appreciating it for how exotic it actually is. Bobotie is this spicy mince with a strange eggy mixture on top, and melktert is almost like a baked custard with cinnamon spice and not even mentioning koeksisters oh my goodness what extravagence! Hmmm we just had our first piece and what a treat! yum! I didn’t have vanilla essence in the house but I did have almond essence so I tried a bit of a variation, if you’d maybe like to try it it really came out good. 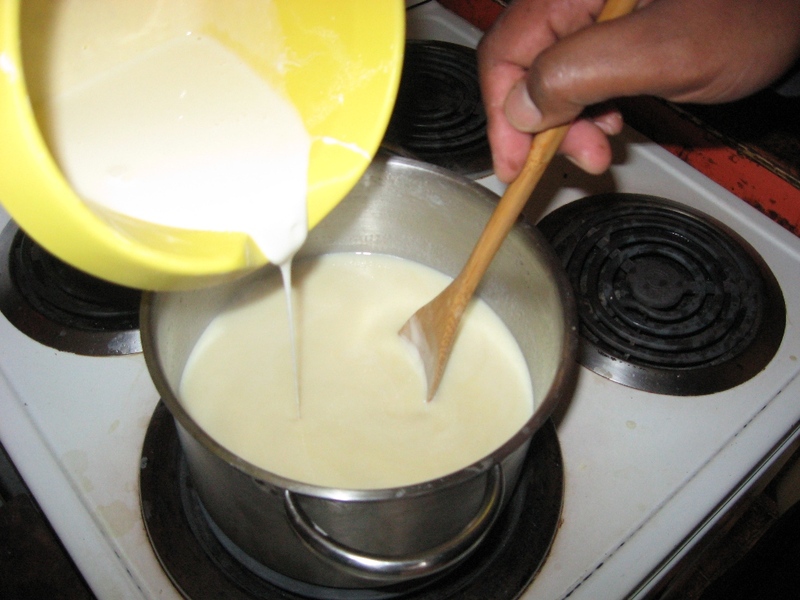 I put blanched almonds in the base and almond essence in the custard. So it’s an almond melktert! My first piece was still warm, absolute bliss!! 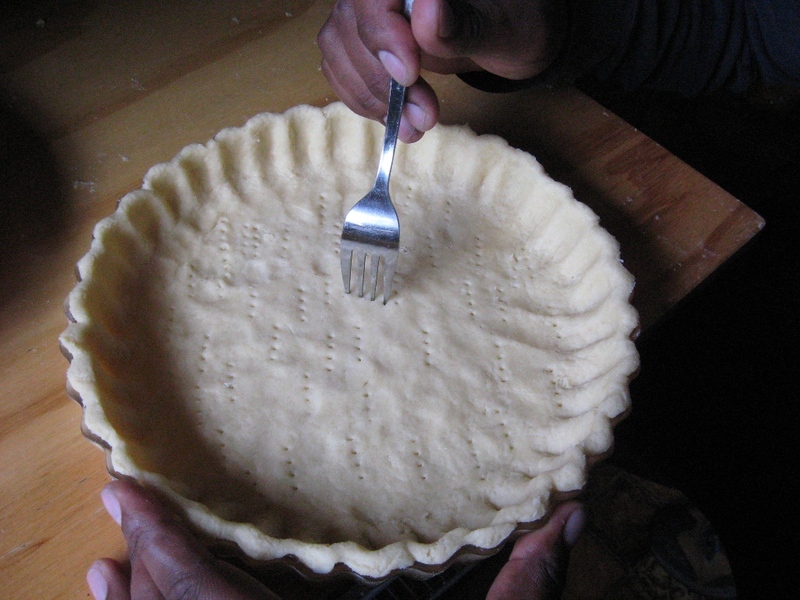 Oh and I made the shortcrust pastry and it is definitely worth it to go through a bit more trouble in making it!! Great website. A lot of useful info here. I am sending it to a few friends ans also sharing in delicious. And of course, thank you to your effort! Pretty educational thank you, I reckon your current followers might want even more well written content of this nature continue the excellent function.